Many boatbuilders have capitalized on the improvements and increased horsepower of today&apos;s outboards, but perhaps none as much as Intrepid Powerboats. "Let&apos;s face it, outboard engines have come a long way," Intrepid president Ken Clinton said during a recent visit to the company&apos;s manufacturing operation in Largo, Fla. "They&apos;re fuel-efficient, reliable and we figure there is a lot better use for your aft cockpit than an engine room." 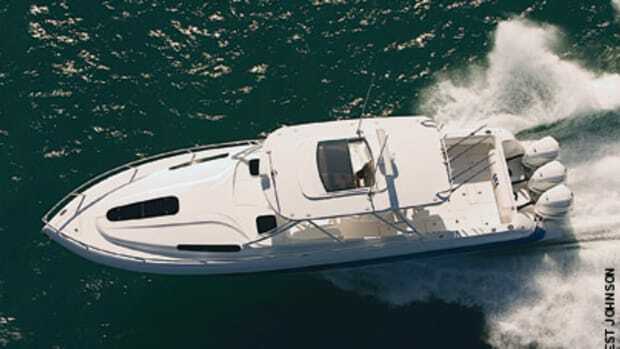 The builder — known for its durable hulls, top-quality workmanship and customer service — offers 14 models, from the 245 Center Console to the the 475 Sport Yacht, which is typically powered with quad 300- or 350-hp outboards. And a 15th model is in the works. Click play to watch as Soundings&apos; Chris Landry talks with Intrepid Powerboats&apos; Ken Clinton. "I have drawings completed for a 54 that I already have six deposits on and will probably start [manufacturing] in 2013," Clinton said. "That&apos;s a three-stateroom boat — and an outboard boat." The engines for this boat will be triple 557-hp outboards from Seven Marine, he said. 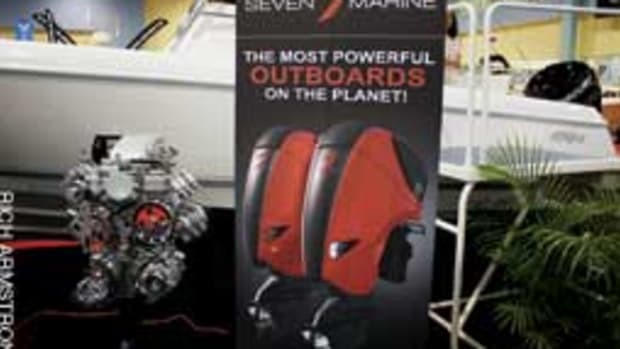 Seven Marine introduced the behemoth 4-stroke at the 2011 Miami International Boat Show. Two of the 1,000-pound V-8 engines were mounted on an Intrepid 370 Cuddy, which also was shown last October at the Fort Lauderdale International Boat Show. Normally powered with triple 350-hp Yamaha outboards, the Intrepid hits 75 mph with the 557s, Clinton said. 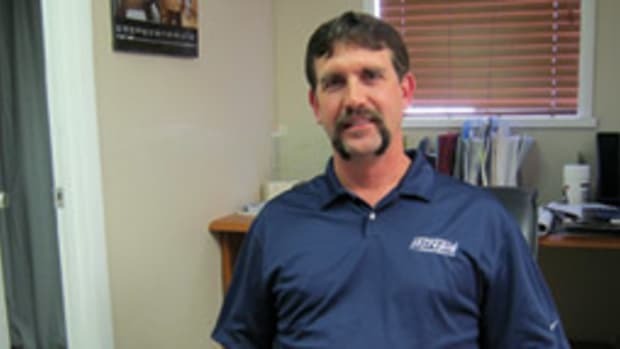 "We knew this was a direction we wanted to go in," he said. "We&apos;re really pleased that [Seven Marine] is getting ready to start production. We&apos;ll have engines in the pipeline by summer. 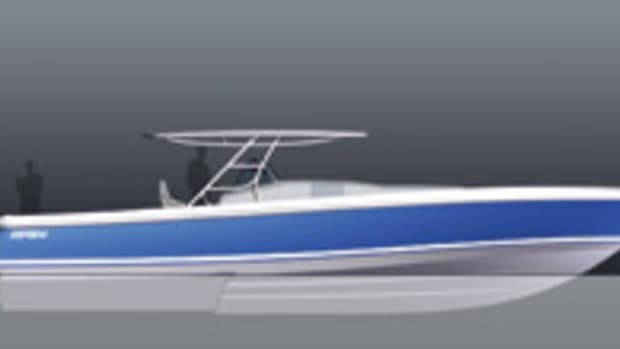 We have customers with boats on order with this engine package arrangement. "When we come out with a new boat it&apos;s very important that it is very innovative and fresh and new," Clinton added. "That&apos;s what people want." Despite its use of outboards, Intrepid also offers inboard and inboard-outboard power, Clinton said. "Whatever the customer wants." Look for a feature story about Intrepid in the March issue of Soundings.